Love dining alfresco? You’ll love Tice. We’ve designed this aperitif set to match the rest of our Tice range. Including 2 chairs and a compact table, why not mix and match yours with bold colours for an eclectic outdoor look. Tice has a soft-looking shape and bold colour. 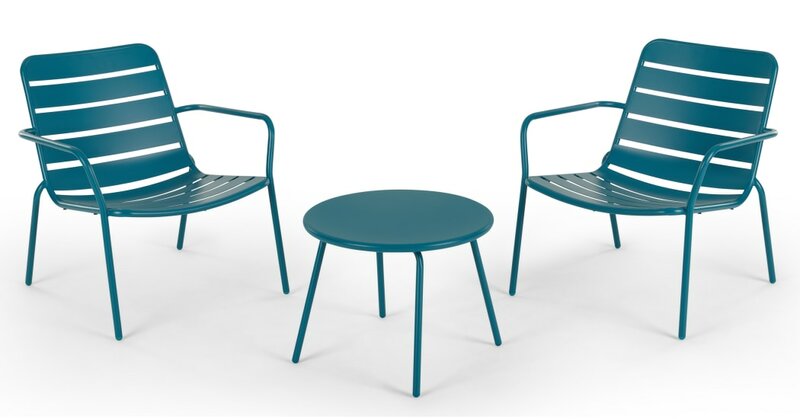 In teal it has a striking look, while the powder coated steel makes this apperitif set ideal both indoors and out.